Music and working out go hand in hand. It’s rare these days to see anyone in the gym without earphones in and that’s for a very good reason. Music has the ability to enhance your work out in a number of ways, perhaps chief among them is that it provides a distraction from your level of exertion whilst also upping your level of effort to match the beat of the music, as proven through a 2010 study (https://www.ncbi.nlm.nih.gov/pubmed/19793214). Two of the more obvious benefits to listening to music while working out are it’s ability to raise your mood and it’s ability to make you want to move. It’s pretty obvious to anyone who works out that wanting to move and being happier in general are bound to improve your workout. So with that in mind, we have put together a list of the top 10 free music apps to help you improve your workout. One of the earliest sites of this kind, Pandora allows you to enter your favourite artist and it will then build you a playlist featuring that artist along with similar ones. It gives you the ability to rate and save songs making future Pandora created playlists smarter and more intuitive. Spotify stands alongside Pandora as one of the earliest and biggest music streaming sites. Spotify allows you to follow different artists and create your own radio station that will play music based on artists you are interested in. You can also choose from lists and new releases and add your favourite songs to a library to listen again later. Google Play began when internet behemoth, Google, bought one of the more popular music streaming sites, Songza. Like Songza, Google Play offers you playlists based on genre, mood, or activity, and remembers your choices so that it can offer you similar options. It also allows you to upload your own music through your google account so that you can stream it anywhere. IHeart Radio is one of the biggest radio streaming apps available, and these apps represent the future of radio, as they allow you to access not just your local stations, but stations from all over. You can create your own “Station” based on your favourite songs or search through existing radio stations by category. It also makes it super easy to save your favourite stations so that you can find and access them easily upon opening the app. Pre-programmed streaming radio stations represent every genre you can think of on Slacker Radio, and similar to iHeart Radio, you can create your own stations and playlists, whilst simultaneously tracking your favourite and recently played songs. Amazon Music boasts a similar feature to Google Play in that you can load up to 250 songs from your own collection to your amazon account in order to stream it through the app wherever you are. Like any music app, you can arrange it in playlists and for added ease of adding music, it can be done from virtually any device. If you’re feeling experimental or have an quenchable thirst for new music, than Soundcloud is for you. It allows artists to share their music with a wider audience for free. These artists range from those who are well known to those who are using Soundcloud with hopes of becoming well known. Soundcloud ranges across every genre from very mainstream, to incredibly niche and experimental. The app/site boasts that 10+ hours of audio is posted every single minute. It’s a common theme that you can create your own playlists and share them with other users. Here we have another of the radio streaming apps, however this one is set up to play through mixes of 8 songs at a time. You can browse through these mini playlists that have been put together by staff, containing featured artists and songs and/or trending music or mixes created and shared by other users. Similar to some other apps, you can also search by artist, activity, genre and even mood. Another Radio app on this list, Tunein strives to set itself apart by having more that 100 000 stations available. It allows you to download specific programs to listen to later, which is a great help if you don’t want to burn through your data or happen to work out in a place that isn’t blessed with incredible cell service! It might be the most popular website on this list and also a slight surprise because, as we all know, Youtube is a video streaming site. What makes Youtube so great is that it’s free and hosts almost every music video that’s ever been released. Alright, I’m sure that it isn’t every single music video, but a whole lot of them. There is even accompanying apps, like YouTube Music that will assemble stations and playlists based on a song choice you make. 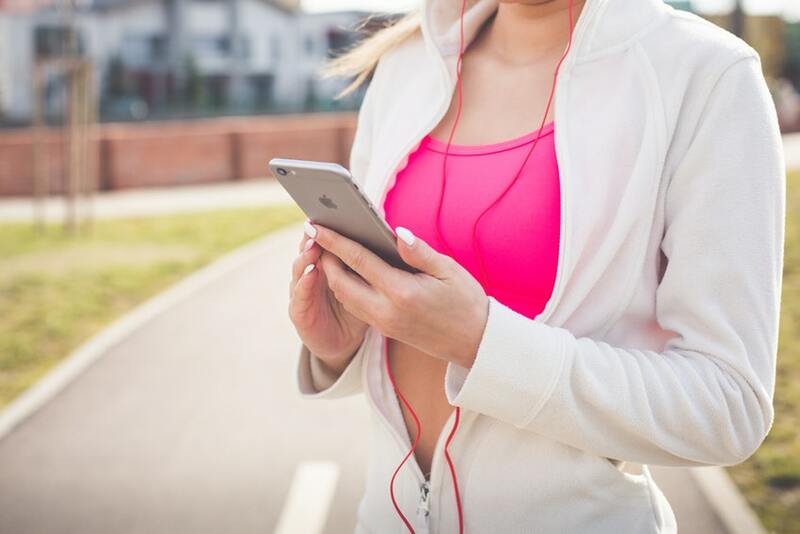 So there you have the top 10 free music apps to boost your workout. Which is your favourite among them, and what other options do you use for music? Let us know in the comments!